Dermal fillers are tiny injections made up of hyaluronic acid, a naturally occurring substance in the body. Targeting various areas of the face, they are injected at the site the patient wishes to enhance/smoothen out, temporarily rendering the skin younger-looking. 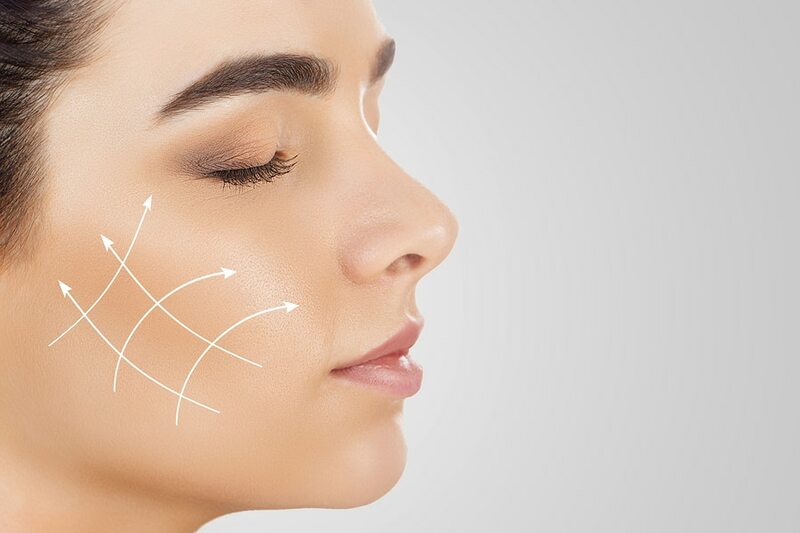 As mentioned above, dermal fillers are made up of a substance called hyaluronic acid which is found in the body and when we are young, our supply of it is ample. Generally around the age of 25, our bodies start to create less of it, which is why signs of ageing (such as wrinkles, lines and loss of volume) begin to occur on the face. Dermal fillers temporarily replace the supply of hyaluronic acid, making them a more natural alternative to cosmetic surgery. Why are they a favourable option to cosmetic surgery? In the fast-paced world in which we now live, less and less people have time to take time off work for numerous appointments and recovery time, both associated with cosmetic surgery. There is no recovery time attached to dermal fillers and patients can resume their normal activities immediately after treatment – you may experience some minor discomfort in the hours afterwards but this will not interfere with your routine. Why do dermal fillers sometimes get bad press? There have been negative stories surrounding dermal fillers and non-surgical facial aesthetics treatments as a whole over the years. However, this has been when patients have approached non-medical establishments offering the treatment who are not qualified to perform it safely. Please remember that these type of treatments should only ever be performed by a doctor or dentist with the correct relevant medical knowledge. Why choose to have dermal fillers? Ageing affects us all and sometimes our self esteem and confidence can take a knock. Dermal fillers produce a natural-looking result and can restore your confidence. Moreover, subsequent treatment creates a foundation for the effects to last longer. If you would like more information about getting dermal fillers in Northamptonshire contact us here at Cliftonville and we can book you in for a consultation with one of our experienced practitioners.